The entire event was taped on video and we are planning on releasing this 1th April 2012 and you will be able to see them on CitrixTV as well. The event took place 1th November 2011 in Copenhagen and we had famous speakers like Derek Thorslund from Citrix, Walther Mundt-Blum,VP from Nvidia, Brian Andersen from HP and Thomas Gregersen from Autodesk and me i did a presentation of my experience of Citrix HDX3D Pro, HP, Nvidia, Autodesk combined in 1 solution and i had a great pleasure having a happy Citrix XenDesktop HDX3D Pro customer “Vestas” to share their experience and he also shared a businesscase they had. I would like to thank all the people that participated Beyond VDI with Citrix, HP, Nvidia and Autodesk 1th November 2011. 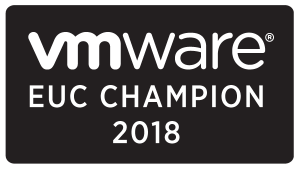 Beyond VDI was the largest VDI event Arrow ECS have held in the Nordics and i personally thank everyone for joining this free event. I would like to take the chance and give a thank you to Citrix, HP, Nvidia, Autodesk, Vestas and Arrow ECS for making this possible. 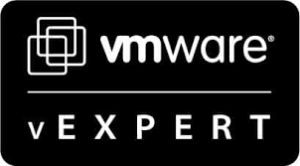 Some of you might not know but I was the guy behind it and i had the idea in May 2011 and in August 2011 the event was borned and made possible and we found the right speakers and Arrow ECS and the vendors made Beyond VDI possible. Again a big thank you for all the speakers for traveling from US, Europe and to you all for joining from Denmark, Norway, Sweden, Finland and some from UK, Holland. I hoped you enjoyed it i did. I am happy to announce that you can now download the presentations from the event. In 3 weeks you will be able to stream the entire event and we will also publish it on CitrixTV. I will blog and tweet about it when the videos are ready, now everyone can take benefit of this great event and watch it for free. If you where not able to join the event you are soon able to stream the sessions and watch them over and over again. Private and public companies face the challenge; to virtualizes “Heavy users” who use 3d applications, video conferencing, audio, etc. 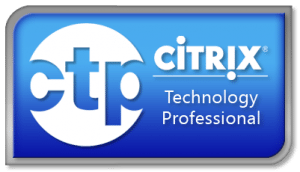 You will learn about how the latest technology from Citrix, HP, Autodesk and Nvidia can meet this requirements, and how Citrix, HP, Nvidia and Autodesk delivers “the VDI of the future”. Arrow ECS, together with Citrix, HP, Nvidia and AutoDesk present an exciting seminar with Derek Thorslund responsible for developing the graphical performance of virtualization products at Citrix, Thomas Gregersen, Application Engineer, from AutoDesk, Brian Andersen, Business Developer from HP and Walter Mundt-Blum, Vice President of PSG Sales, Nvidia. The conference, where visions, opportunities and the workplace of the future is a priority. VDI is no longer “just” VDI. Learn how Citrix can deliver a virtualized 3d application/desktop with HDX / HDX 3D Pro technology to end user on LAN/WAN. Brian told us how HP delivers enterprise hardware to this market, and how you can lower hardware cost together with Nvidia and Citrix technology. Thomas told us how Autodesk’s new products, what they can deliver and how AutoDesk products now are certified with Citrix. Walther told us about Nvidia’s new products, what they can deliver and hear about the relationship with Autodesk, Citrix and HP. Whats does the future bring with Nvidia when virtualization melts together with the CPU/GPU. Thomas shared his experience with HDX 3D / HDX 3D Pro – how does it all work together. Solutions and best practise. Troels showed us a great use case how Vestas use XenDesktop HDX 3D Pro and the experience they had. I am not allowed to share Vestas presentation at the current moment. If you would like to see the presentation please dont hesitate to contact Troels from Vestas and he take it from there.